Enroute to Approach segment. Depending on your altitude you should pick up the ATIS/AWOS about 40-50nm away from your destination. If you have an airplane with ADSB, you can look at the METAR, and looking the wind information, you can estimate the runway in use. If you don’t have ADS B, look at your preflight weather brief. How to setup of an Ground Navigation Instrument approach with FMS/GPS onboard. Obtain the weather — write it down. Load approach in the FMS (GPS) — when given vectors, activate a segment on the approach. NOTE: If you have TWO navigation radios, ALWAYS set BOTH localizer frequency. c. NAVAID proving DME, if applicable. e. RMI 1 set to GPS. f. Identify Navigation Source — listen to the Morse code. Review the Approach Chart factors which affect the approach. Type of Approach & Location. Glide Slope Crossing Altitude (Precision), or Final Approach Fix Location and Altitude (Non-Precision). Minimum safe altitudes and terrain. Other frequencies required for the approach. Visibility requirements and current visibility. Missed approach point, and the initial portions of the missed approach procedure (heading & altitude). 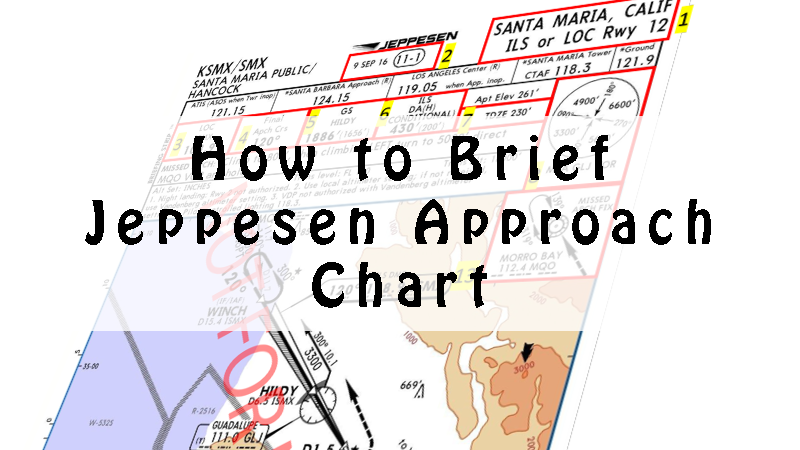 Any procedures or methods used to navigate to the final approach course including procedure turns, step downs, and any circling maneuvers to be performed for circling approaches will be briefed. Any stated approach requirements and notes (i.e., radar required) will be noted. Fuel status, and status/availability of alternate airports in the event of a missed approach. Any weather hazards in the terminal area (thunderstorms, icing, wind shear, terrain) and contingencies for encountering any of these hazardous conditions. If you have any concern on a possible missed approach, review your missed approach procedure at loud. Review the airport diagram for the intended point of runway exit, expected taxi route to parking, and any hot spots that may be encountered. Relevant NOTAMs that may affect the arrival. Performance considerations — flap setting, reference speed selection, runway distance available, etc. “We are doing ILS 12 in Santa Maria. Localizer frequency, 108.9, set on both radios and Identify. Final Approach Course, 120°, set. Glide Slope intercept attitude 1886’. Decision Altitude, 430’. The conditional remark is based on the altimeter settings. TDZE 230’. If we have the approach light system insight, we can descent to 330’. MSA for the direction we are approaching is 3300’. DME source is from the localizer frequency. We need 1/2mile, we have 1mile visibility. Approach light system is a MALSR, with PAPI on the right. If we have to go miss approach. Climb runway heading to 800’. Then a climbing left turn, direct Morro Bay, and hold. We are going to be doing a parallel entry.